About 450 species (in the broad sense) distributed primarily in Europe and southwestern Asia; 178 species in FSU. Only a few make good garden plants. C. bella Trautv., C. dealbata Willd., C. hypoleuca DC., C. montana L. and C. scabiosa L. are well-known. Several ornamental species have not so far been used in gardening, among them are C. barbei (Albov) Sosn., C. fischeri Schlecht., C. ruthenica Lam. and C. woronowii Bornm. ex Sosn. C. mollis Waldst. et Kit. 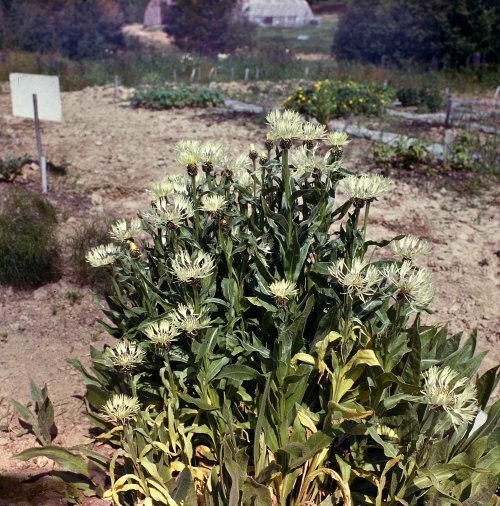 Centaurea woronowii Bornm. ex Sosn.